Celebrating autumn with our favorite things: bikes, brats, music and beer! Bikes: valet bike parking and a free ride to the train station if you overindulge. 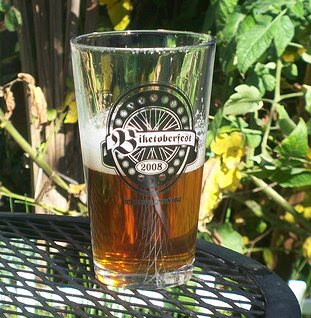 Beer: sample the new Biketoberfest seasonal brew by Dock Street Brewery (cash bar) and everyone gets a Biketoberfest 2008 pint glass. Prizes: Don't miss the raffle: we've got a SE Draft bicycle (donated by Advanced Sports) and a R.E. Load messenger bag (donated by R.E. Load) and more.